Interesting that the Q engine is much rarer than the M.
In retrospect I saw an orange 429 coupe for sale a couple of years ago at the annual Father's Day show on Main Street in Warrenton, VA. It seems like he was only asking around $5k for it. Probably would have been a great buy. For 71, the Q-code wasn't introduced until May, so production would be notably much lower. I can't remember the last time I've seen an 1972 R-Code. 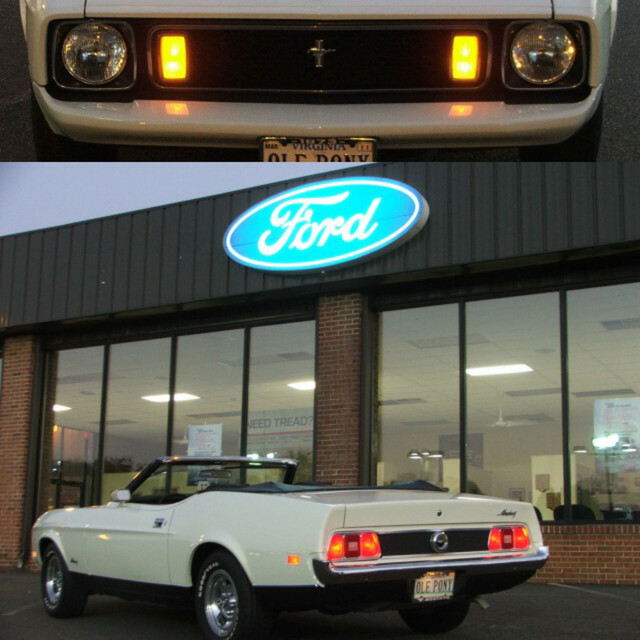 To give anyone an idea of what rare 7173 Mustangs are going for, there's a few 1972's that are on ebay right now and the general public usually make its worth. They say the beginning of a body style is the most highly desirable, but I feel in this case, a 1972 R-Code in prestine condition would sell faster than an R-Code 1971. I'm not a collector and haven't kept up with the market but just my gut feeling on the matter. Welcome to the forum. Too bad you have to sell the R code. They are rare, but I am not sure of the current value. Mine is worth a lot to me, but may not be worth much to someone else. They don't sell very often so it is hard to tell till you try. Maybe you should put it in an auction with a reserve on it. I just went to the Indy Mecum auction last night. That is a neat experience. There were 2,000 cars there to sell this week. OK Curiosity is killing me. Does anyone have the similar production figures for the Q codes for 72 & 73? Probably should have replied to the 1st post of this thread - but hey I'm still learning!! What book/reference material are you using? Yes, those numbers are from "Mustang ...by the Numbers", a Kevin Marti's document.